A healthy and supportive relationship can have tons of benefits on your emotional, mental and physical wellbeing because it improves your self image, boosts your happiness levels, helps you age more gracefully, reduces stress and improves your mental health. On the other hand, an unhealthy relationship can have long-term damaging effects on your sense of self worth, and can affect your capability of taking advantage of your unique and powerful potential as a person. Many people often wonder if couples therapy works, and whether it will work for them. Relationship counselling does work and can work at any stage of a relationship. Getting into a supportive relationship with a well-trained and experienced therapist can help you to deal with relationship distress and improve your mental health, and in the process, you are able to live a fulfilling and happier life. In addition, relationship therapy works so much that it can shift a very old or difficult problem at the beginning, middle or end of a relationship. At Stack Counselling, relationship counselling seeks to help couples discover their desired outcome with regard to the direction they would want their relationship to go. Every relationship is unique and it presents circumstances and challenges that are also very unique. This is especially the case where different backgrounds, personalities and values are involved. At Stack Counselling, we endeavour to form a collaborative alliance with you in order to facilitate positive changes by identifying what works, and the resulting solution sequences. Paul Stack uses Solution-Focused Brief Therapy to help couples utilize and implement what is already work with you to help you look towards creating your desired future, by encouraging you to think about solutions, and to look for positive signs of changes. Are you unsure of what to expect from marriage therapy? • Clients are responsible for solutions instead of problems in the treatment process in order to ethically and effectively facilitate positive changes in clients. • Therapy is designed in a way that helps you to notice, amplify, sustain, and reinforce your accomplishments, regardless of how small or infrequent they may be. Marriage and relationship counselling often involves individual and joint therapy sessions depending on your therapeutic needs as a couple. 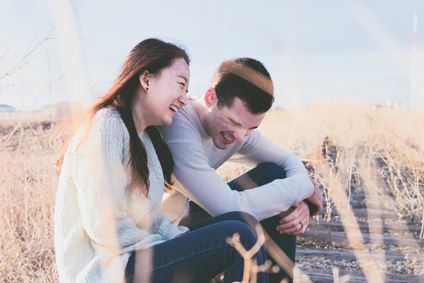 This flexibility allows your counsellor to accurately assess your communication skills, behavioural patterns, and relationship needs as individuals, and as a couple.